Publisher/Production: CSIRO Publishing (2018) in partnership with Small Friends Books, an art-science collaborative called the Scale Free Network and the Australian Society for Microbiology. Themes: coral reefs, coral polyp, coral bleaching, symbiosis, photosynthesis, bacteria. 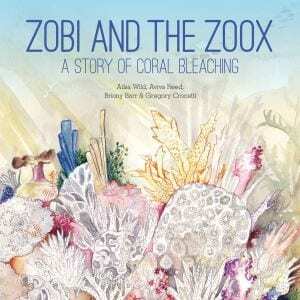 ‘Zobi and the Zoox’ has to be the coolest book title for a children’s environmental science story ever! It sounds like the name of a David Bowie record (Diamond Dogs, The Rise and Fall of Ziggy Stardust and the Spiders from Mars, Zobi and the Zoox), but actually it’s a very important and beautifully illustrated story about coral reef biology and coral bleaching. 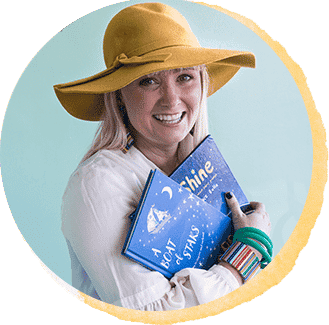 Published by CSIRO and produced in partnership with a number of organisations, including the Australian Society for Microbiology, the book is (of course) soundly based in science – but includes an engaging fictional story to accompany the science. Whilst the story is probably pitched at the 4 – 8 age group, the science section (see below) is so comprehensive and includes such complex and sophisticated concepts, that I think it could easily be a reference for older primary (and maybe early high school) children (unless they are completely across their marine biochemistry). The artwork in this book is beautiful, full of detail with lots of informative labels and captions to learn from…and the endpapers are stunning and need to be made into wallpaper! The hero of our story is a coral polyp called Darian (love it) and we learn about how it is he exists and what friendships (i.e. symbiotic partnerships) he needs to survive. His friends include Zobi, the rhizobia bacterium, who we learn fixes nitrogen into a more useable form for Darian (essentially making food); Cy the cyanobacteria (or blue-green algae), a type of photosynthetic bacteria that makes sugar and ammonia, and the zoox (short for zooxanthellae), single-celled organisms who make sugar (i.e. energy) through photosynthesis. 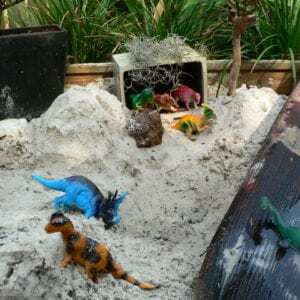 Darian is under stress because the water has been too hot for too long – the zoox are going crazy due to the heat, creating molecules that are toxic to Darian, who eventually has to expel them. If this continues, the partnerships that Darian, Zobi and the zoox rely on for survival will fall apart and Darian will die. We learn how he navigates this critical situation and how fragile these systems are. The book also includes a comprehensive age-appropriate section, guiding the reader through the science behind the story. This includes lots of great diagrams explaining the biology of coral polyps and other coral reef inhabitants, photosynthesis in coral reefs, nitrogen fixation, symbiosis and a coral bleaching timeline, which illustrates how just 2–3 weeks of seawater temperature rises can trigger the collapse of an ancient and highly sophisticated ecosystem. Coral bleaching is already impacting Australian coral reefs, as reported this year across the top end of Australia and in parts of the Great Barrier Reef. With impacts far beyond the coral reef ecosystem, this book offers opportunities to discuss not only the science, but the impact on people (i.e. tourism, ecosystem services, climate change). The State of the Great Barrier Reef (presented by guest reporter Peter Greste) – this is an excellent and digestible overview of the real issues facing the reef, including interviews with scientists, graziers and NGOs.